When you see the panoply of Windows versions and types, it can be a little disconcerting. Windows XP, 7, 8, Server, Pro, Ultimate, Standard, etc. Windows Embedded is one of many, but perhaps the most interesting of the batch. It’s a lean, mean version of Windows with some extra features that make it ideal for industrial automation, kiosk, signage and other applications. If you have ever had a computer running the desktop version of Windows, you have seen the heap of additional little programs that bog the system down. From movie maker to solitaire, the commercial versions of Windows have everything and the kitchen sink thrown into them. However, if you are running a kiosk, industrial controller, or security software, what do you really need? If you are running an energy efficient, low power system to manage your assembly line, does it need unnecessary applications taxing the performance of your PC? Should your system be wasting resources on ease of access controls or high resolution displays if you don’t need them? Of course not, and Windows Embedded is the solution. Without going too deep into the geekery, Windows Embedded is a modular Operating System (OS). Bits and pieces can be added and subtracted, enabled or disabled, and generally switched around to optimize the OS for a specific function. Windows Mobile, Windows Server, and Windows Embedded are examples of this in play. The result is a streamlined version of Windows that takes up less space, requires less processing power to run and even adds in some extra features like write locking (prevents the computer from allowing users to write to the HD) and bootable programs (allows system to boot directly to a line of business application, bypassing the desktop). Moreover, it can be customized to fit the exact needs of the installation. 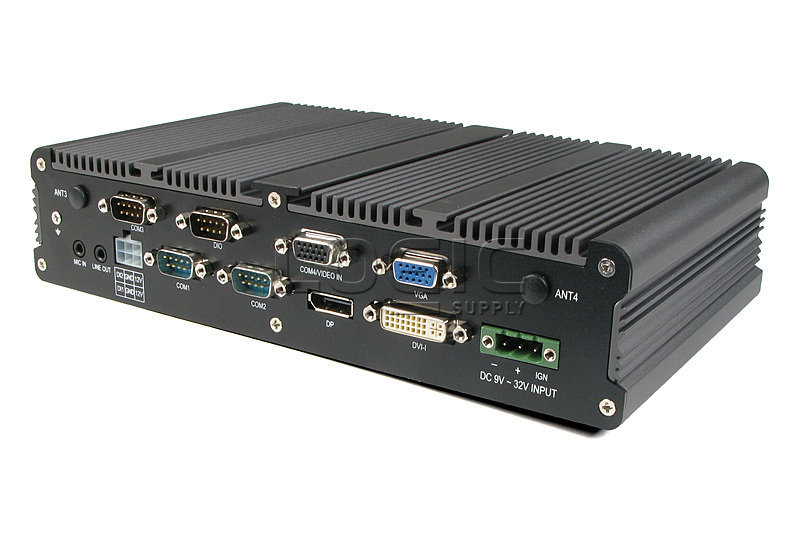 Automotive, Kiosk, DAQ, Industrial Control, and the like’s special requirements can be optimized for. A win in the Embedded space and perfect for the Internet of Things. The idea of “Things” is amorphous intentionally. It might be fridges that let you surf the web or an industrial machine that churns out 10,000 candy bars a day. If both are connected to a network, both are in the Internet of Things, and this is where Windows Embedded has an ace in the hole. Because a device is running Windows Embedded, it’s part of the Windows family. That means it’s speaking the same language as the fleet of desktops deployed in home office, the Windows Server that hosts the network, and other embedded devices with Windows. Moreover, peripherals like sensors, printers, cameras, and more all get the benefit of the Windows infrastructure. If you have ever tried to get a driver to work, you know what value that brings. At Logic Supply, we love Windows Embedded for its customizability and flexibility. Our engineers have capitalized on its modularity and developed tailored installations for customers ranging from Alcohol Distilleries to Zoos. 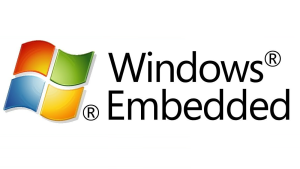 If your systems are looking for a streamlined, efficient, customizable and less expensive version of Windows, look no further than Windows Embedded. Speak with a Logic Supply Sales Engineer to find out how Windows Embedded can work for you.